It is cold and wet outside, you need a thick, hearty, delicious soup to warm you up, well look no further this one is a winner. This soup ticks all the boxes, it is so tasty with so little effort. You just place the ingredients in a large saucepan, cover with water, bring to the boil, simmer for about 2 hours and all you have to do is stir it every now and then. You can use smoked pork ribs instead of ham hock if you prefer. ​You can use any brand of chicken stock powder or chicken stock cubes, I just love vegeta myself, and I'm not paid to say that. I like the potatoes diced a little bigger than the carrots as I like the soup chunky, you dice it how you like it. 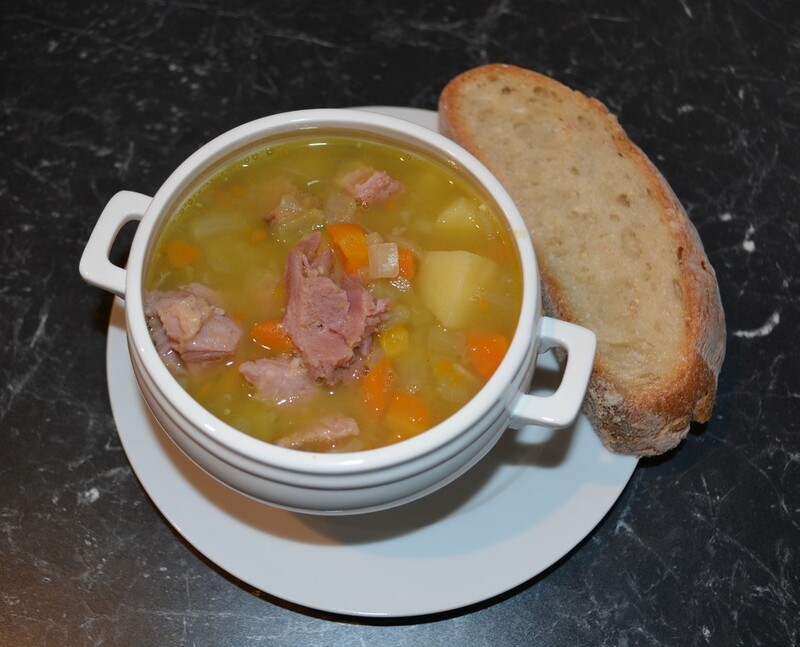 So if you are looking for the perfect soup on a cold winters day, look no further, once you put the ingredients in the pot, dinner cooks itself. Cover with cold water, and bring to the boil over medium-high heat. Reduce heat to low, then simmer for about 2 hours stirring every so often. If you need to add some extra water, as it has cooked out before the two hours, do so, little by little. After two hours, the ham will fall off the bone and the soup should be thick and hearty. If it is not like that cook a little longer. 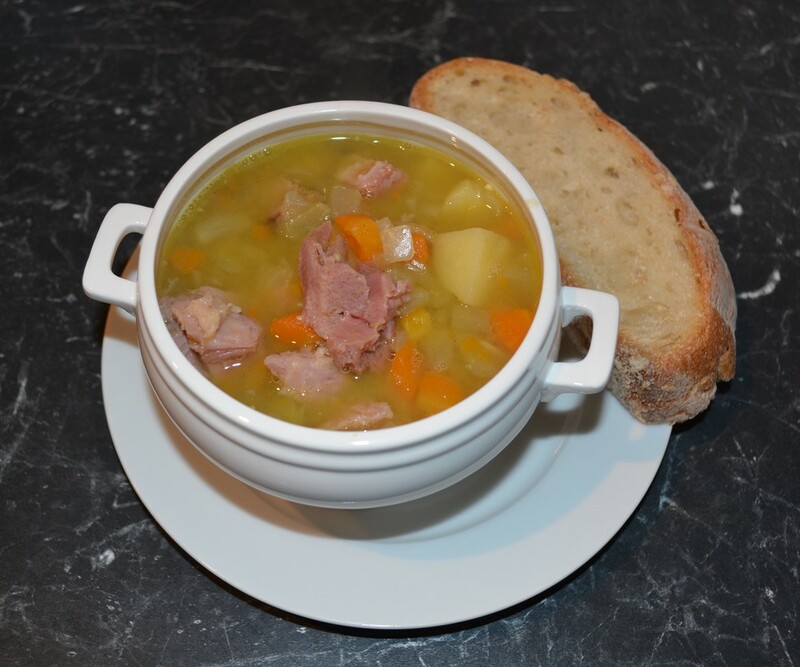 Remove the ham hock from the soup, cut up the meat into bite sized chunks and return to the soup. Taste for seasoning. Serve hot with some crusty Italian bread.